In violation of an Israeli Supreme Court ruling, Israeli authorities continued to prohibit journalists from entering Gaza. Under such circumstances, there live blog reports are invaluable in helping the outside world to understand just how the Israeli attacks have impacted life in Gaza. 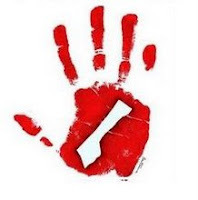 As it happens, several Gaza bloggers -- Habeeb of Gaza Today; Abdelwahed, Shakra, and Qishta of Moments of Gaza; Mohammed Ali of Oxfam; Sharon at Tales to Tell, and Canadian activist Eva Bartlett at In Gaza, and Rafa Kid --- have regularly posted outstanding firsthand accounts of events. Rafa kid even went out to conduct interviews. Their achievements are all the more impressive as every Gaza resident has -- to some extent -- been preoccupied with matters of survival since the Israeli attacks began. Meanwhile, based in Israel, Jameel and Dave are live-blogging reports on the conflict, posting updates around the clock. You can follow the war on Twitter at #Gaza. Habeeb, who describes himself as "Palestinian born and raised in Gaza" is a 23 year old journalist holding a bachelor's degree in English Literature. 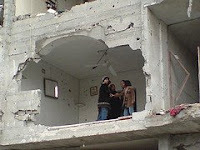 The Hunger Before the Storm, 26 Dec 2008, Gaza Strip the Untold Story. 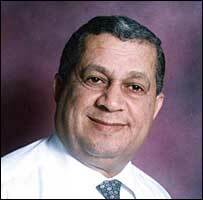 Photo of Dr. Abdelwahed is from a 2006 interview with the BBC. He is a professor at Al-Azhar University in Gaza. Fida Qishta is a teacher and translator from Rafah, southern Gaza . Elena Qleibo is a programme officer for Oxfam based in Gaza. 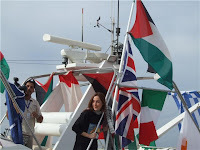 Elena has lived and worked in the West Bank and Gaza for 20 years as an aid worker. Eva Bartlett is a medic and member of the International Solidarity Movement. The photo (right) was taken upon her arrival in Gaza several months ago. Eva spent much of 2007 working in the West Bank (GM).